This city holds a special place in the hearts of all the Portuguese. Rich in its history and said to be the oldest seat of learning in Portugal with a University founded on the 13th of August in 1290 by King Dinis. This makes it one of the oldest in the world. Six of Portugal’s Kings were born here and in 1139 until 1256 it was the chosen capital of the country. The original name in the Roman period was Aeminium, and it later developed under the influence of the greater nearby town of Conimbriga. This latter place is now a large archaeological site of great interest with a museum to display the findings from the diggings. At first sight the town appears more devoted to commerce than learning but the skyline above the lower part of the city suggest its real purpose. 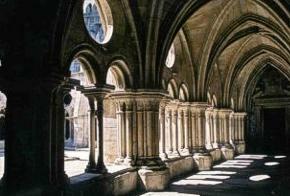 Coimbra Old Cathedral, of the Romanesque style, dates back from the reign of King Afonso Henriques. 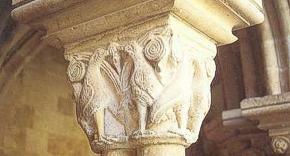 This was a period of major splendour in the Coimbra Romanesque workshops but also of decadence and stagnation of structural and decorative solutions. The Coimbra New Cathedral, an old Jesuit College and Church, was founded in 1541 and remained in the Order until the government of the Marquês de Pombal (Pombal Marquis), who determined the delivery of the temple to the diocese after the expulsion of the Jesuits from Portugal, in 1759. 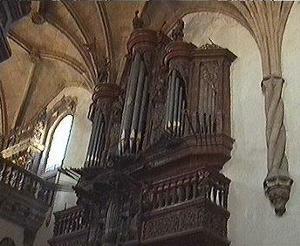 The New Cathedral shows the artistic conceptions of the Counter-Reform of which the Jesuits were one of the main promoters. 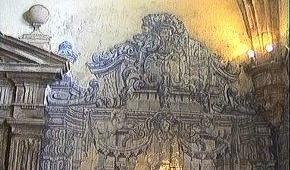 The project is due to Baltazar Álvares, an Order architect who started the construction in 1598. The main façade impresses by its greatness, and follows the Jesuitical typology with a tripartite entrance and an ambitious organisation of the upper motifs, ending in an irregular triangular pitched roof, creating a scenographic effect. 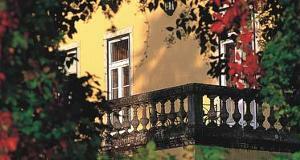 Coimbra, with a university founded in 1290, is popularly known as the 'Oxford of Portugal'. Well hardly, though it is indubitably ancient, does have some fine buildings and suffers under the same curse of traffic experienced by England's Oxford. The most dramatic of the university's ancient treasures is the Joao V library with superb frescoes and tables of rosewood and ebony etched with Chinese designs in gold. University library (King John Library) is breathtaking. There are three large rooms decorated with engraved wood lacquered in red, green and gold. 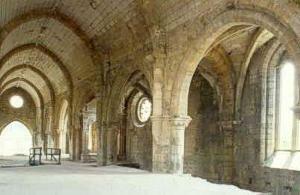 These rooms are connected by high archways bearing the insignias of the old faculties at the tops. The walls are totally covered by solid bookshelves made of exotic woods and divided into two sections separated by a narrow balcony supported by elegant columns. Ladders which fit into the book shelves provide access to the upper levels. This library now functions as a museum with a collection of 300,000 volumes. Use can be obtained by special authorization. From the distant past the students still indicate the faculty they belong to by the color of a ribbon they attach to their gowns. Every year in May when the academic year ends they ceremonially burn these ribbons and duly celebrate. This event is named "Queima das Fitas". 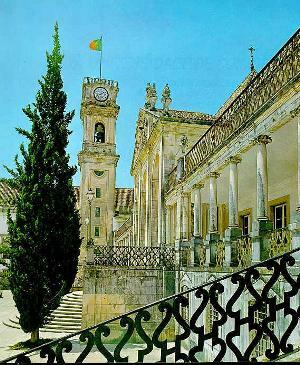 The students also reflect their optimistic attitude to life and culture by singing a lighter and happier version of their traditional national songs and these are generally referred to as "Fados da Coimbra"
Founded in 1131 outside the protecting walls of Coimbra, it was the most important monastic house of the Portuguese monarchy. Dedicated to the Order of St. Augustine, the Monastery was granted numerous papal privileges and royal grants, which allowed the accumulation of a considerable patrimony, at the same time as it consolidated its position on the politico-institutional and cultural scene. Its school was essential on medieval times and also a meeting point for the intellectual and power elites. 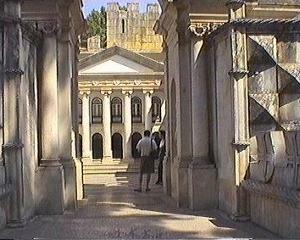 Its scriptorium was responsible for the propaganda machine of King Afonso Henriques, being not strange at all his decision to be buried exactly in Santa Cruz of Coimbra. Nothing remains of the early Romanesque Monastery. It is known that it had only one nave and a high tower in the façade, as typical of the Augustine-Romanesque constructions, but none of those elements subsisted. In the first half of the 16th century, the Monastery was completely reformed by King Manuel's order, this monarch having assumed the Monastery tutelage. took his place and became responsible for the conclusion of the church and the beginning of the cloisters' works around 1326-27. The church was consecrated in 1330 and the great floods of the Mondego River occurred one year later. 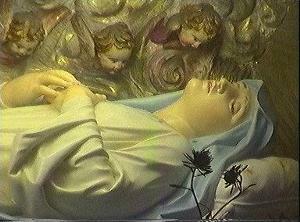 Works, however, didn't stop and, in 1333, the hospice was finished. 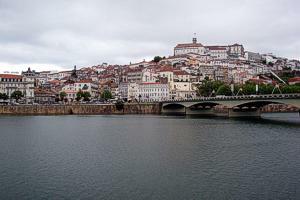 During the centuries that followed the constant floods of the Mondego aggravated the progressive silting-up of the building and, in the early-16th century, the situation became unbearable. 1617 saw the inevitable abandon and the consequent transference of the community to Santa Clara-a-Nova. Created by the Marquis of Pombal, they are considered the most beautiful bothanical gardens of Portugal. Besides the many rare species which deserve to be admired, there is also a vast collection of ornamental features such as statues and fountains. Children will like to visit the Portugal dos Pequeninos ("Portugal for the Little Ones"), a park with child-sized models of typical Portuguese houses, mansions, temples and palaces. 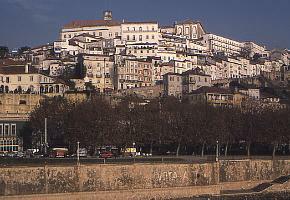 The ancient city of Conimbriga is a short drive or bus ride from Coimbra. It's the largest Roman settlement in Portugal and is well worth visiting on any tour of the country's central and northern regions. 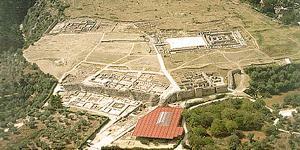 Like many archaeological sites, Conimbriga was built in layers. Some of the earliest layers date back to the first Iron Age in the 9th Century B.C.